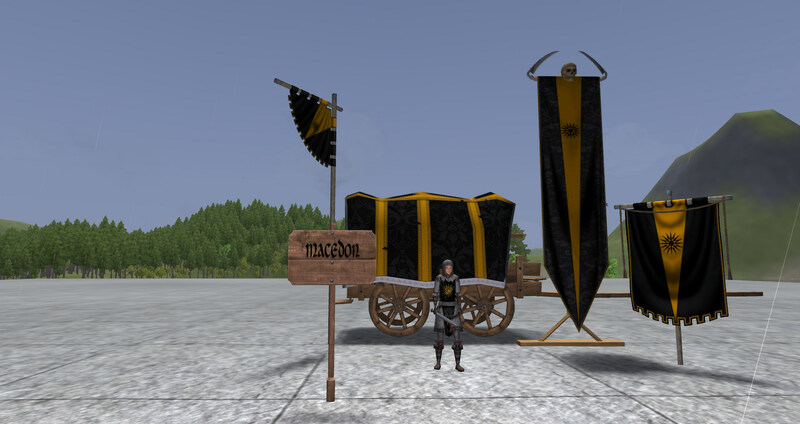 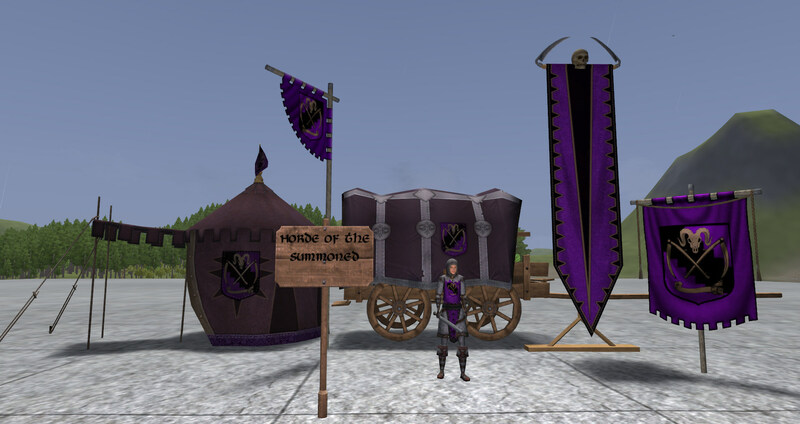 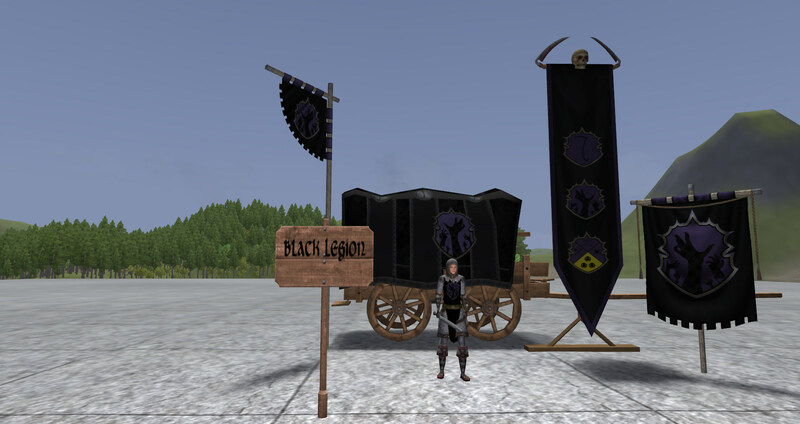 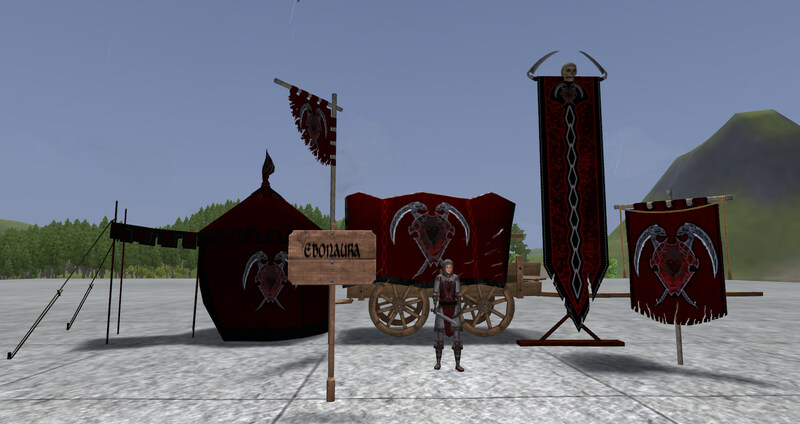 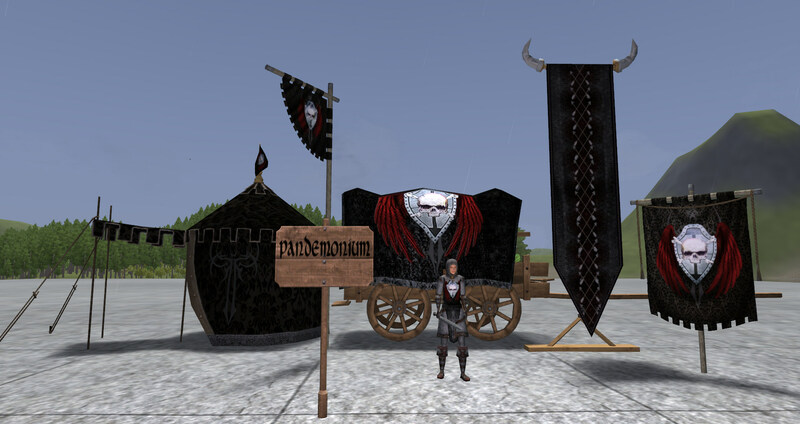 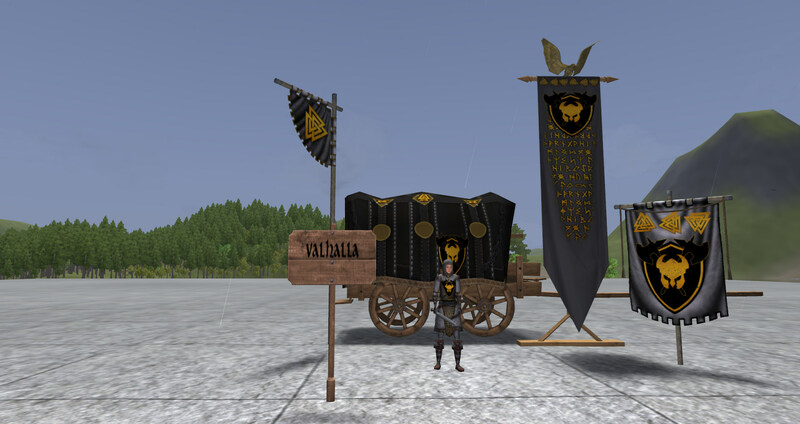 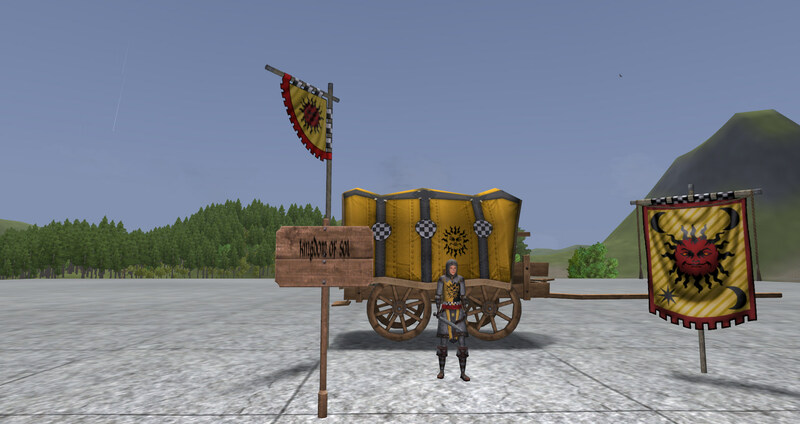 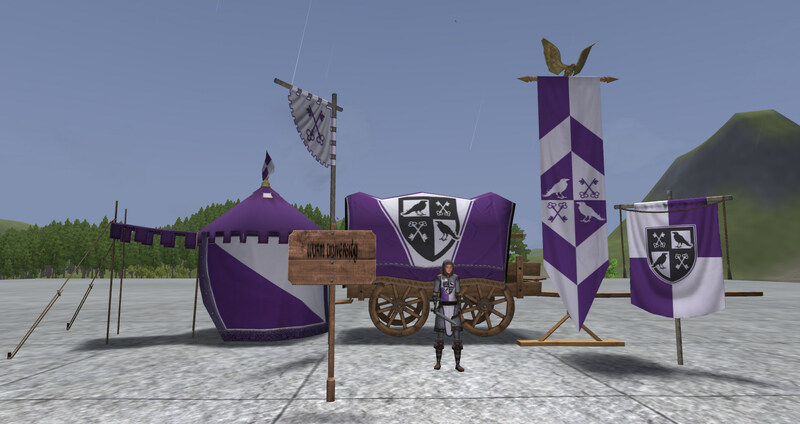 Heraldic certificates are items you can buy from any trader and they can be used to change the kingdom emblem on items and wagons. 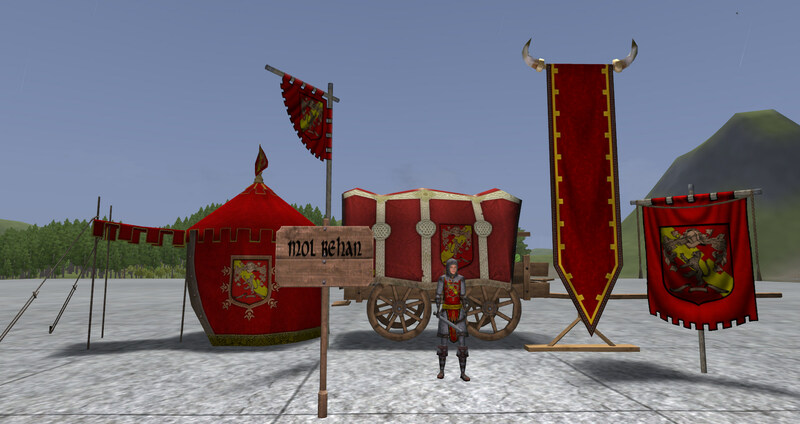 They works on: Guard towers, tabards, wagons, flags, banners (both types), military tents and pavilions (some items have art only for some kingdoms). 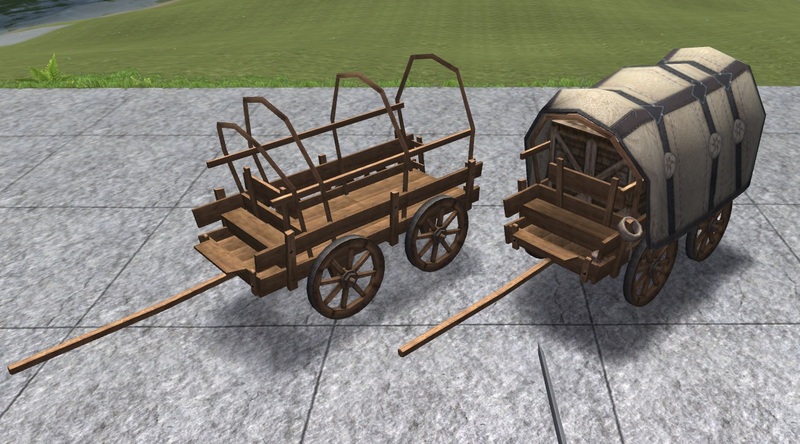 They also can be used to make wagons to look like wagoner wagons (full or empty). Here is all the art that can be applied to items using a heraldic certificate. Click on images for bigger picture.